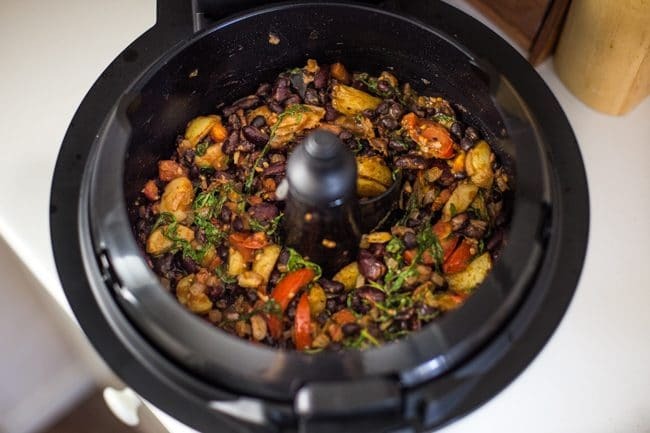 A hearty vegan bean stew made entirely in the Tefal ActiFry! 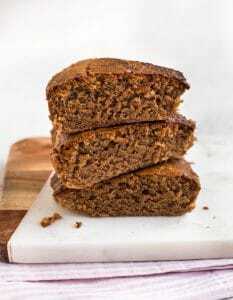 So easy to make, and so much flavour. 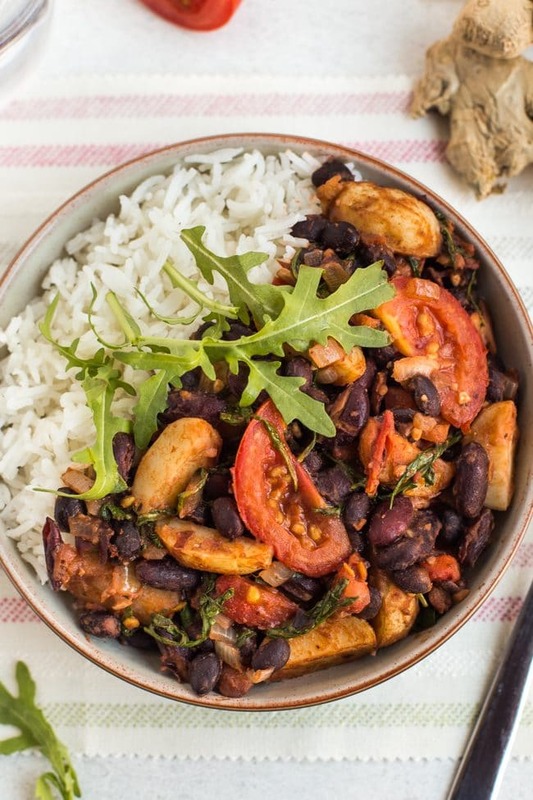 A simple but super tasty vegan bean stew made entirely in an ActiFry! I’ve never been to Madagascar, so I can’t vouch for the authenticity of this recipe, but as usual, I’m far more concerned with how something tastes than how authentic it is, and this Madagascan bean stew tastes pretty flipping amazing! If you’ve never heard of an ActiFry, you first question is probably – what on earth is an ActiFry? The ActiFry is an air fryer – an appliance that cooks foods using a jet of hot air. It needs very little (if any!) oil, meaning it can be a healthier way to cook. 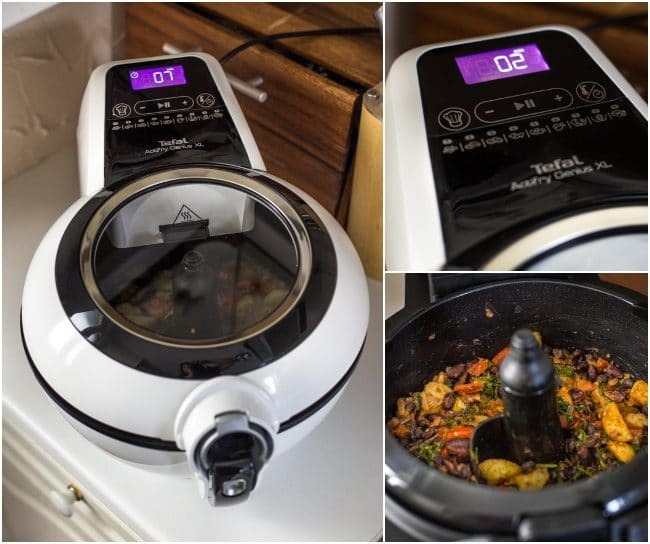 It has a ‘paddle’ that rotates through 360° to gently stir the food as it cooks, meaning you can literally just dump in the ingredients, and leave it to do its thing – the ActiFry mixes everything together, and makes sure absolutely nothing sticks to the pan. The ActiFry Genius has 9 different preset modes, or you can just set the temperature and cooking time manually. If I’m entirely honest, I didn’t even read the manual (lazy? me? ), and I still managed to work it without any problems – it’s very straightforward! What can you cook in an ActiFry? The ActiFry is famous for making the best homemade chips (fries!) ever, using only one small spoonful of oil. They are literally the best – the rotating paddle means they get nicely coated in the oil, they cook evenly, and they get beautifully crispy. But you can use an ActiFry for so much more than just chips! 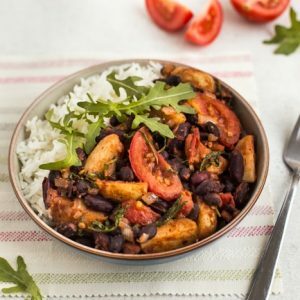 I used the ActiFry app to choose this Madagascan bean stew from a collection of 300 different recipes. 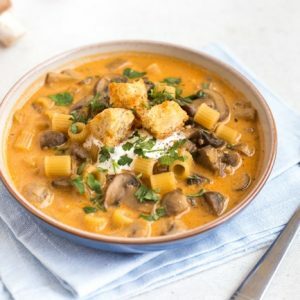 A lot of the recipes in the app contain meat, but can easily be adapted to be vegetarian – this bean stew actually started life as a beef stew, but a couple of simple subtitutions made it vegan! 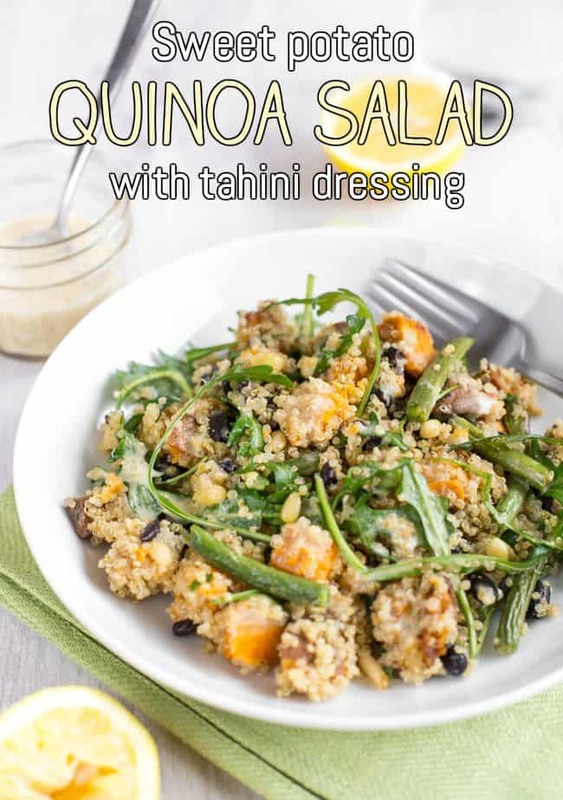 The app contains all sorts of recipes – stew, stir fry, risotto, popcorn, salads, and lots more. If you don’t want your food to be stirred as it cooks, you can also remove the paddle – I even used the ActiFry to make chocolate brownies (another recipe from the app). Though now I am wondering what would happen if you did stir the brownie mix as it cooks… I think it might need to happen, for curiosity’s sake. Back to the stew! 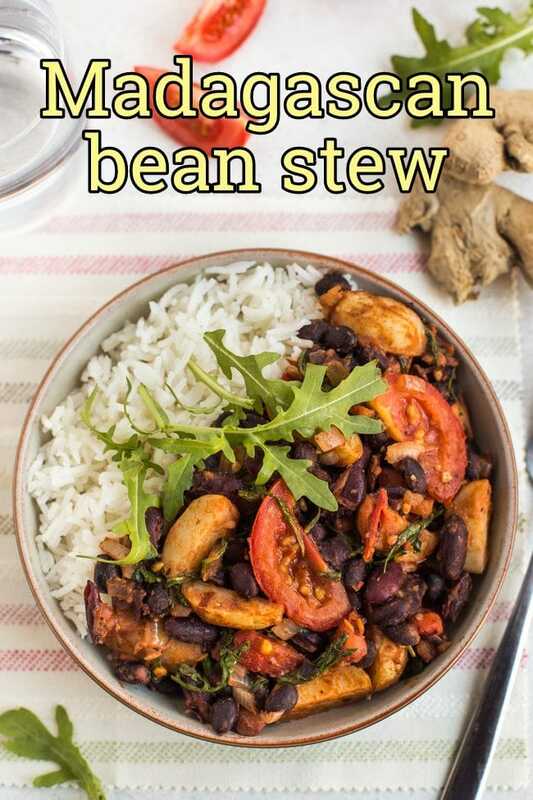 When I veganised the original beef stew recipe, I realised that my version would contain both potatoes and beans, and I wondered whether it would feel too carb-heavy – especially since I wanted to serve it with rice! But in the end, it worked beautifully – you just end up with smaller amounts of each, that’s all. I love potatoes in curries and stews, and beans are always a great protein-rich base for this kind of dish. Start by cooking the potatoes in the ActiFry with a chopped onion, then add the remaining ingredients. The ingredients list for this bean stew is super simple – you don’t need dozens of spices, as you might expect. 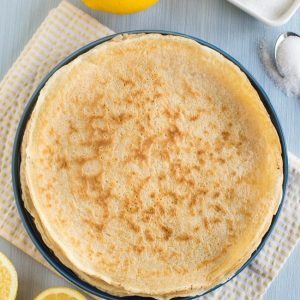 The main flavour comes from a good dollop of pureed ginger, which adds a gorgeous warmth to the dish. There’s also garlic, tomato puree, and a big handful of tasty rocket (arugula). 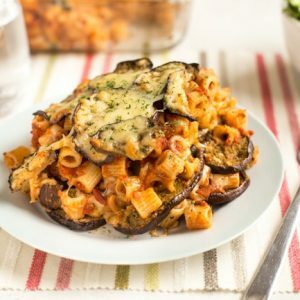 You really don’t need a complicated ingredients list to make a flavourful dish! Just add all the ingredients to the ActiFry, and leave it to cook. 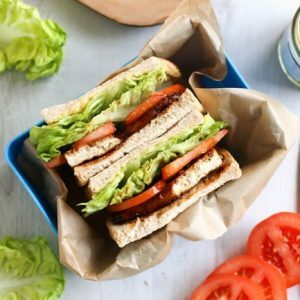 The end result is full of different flavours and textures – a really satisfying vegan dinner! 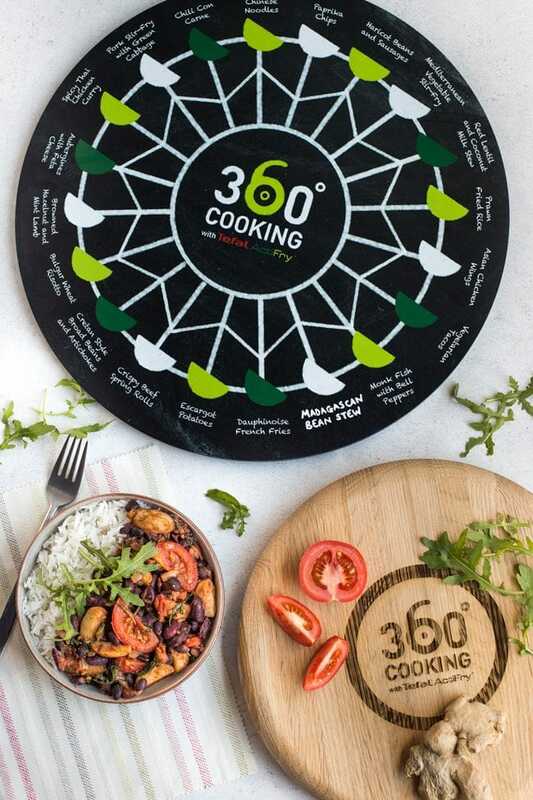 To help celebrate the 360° cooking ability of the ActiFry, Tefal will be hosting a 360° cooking event on Exmouth beachfront – on a rotating Ferris wheel! You can head down for a free dinner cooked entirely in an ActiFry, and check out the versatility of the appliance yourself. 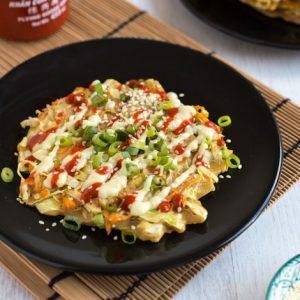 As another nod to the circular nature of cooking in an ActiFry, we bloggers are passing the ActiFry challenge round to each other – so next, head over to Slimming Eats to find another ActiFry recipe! 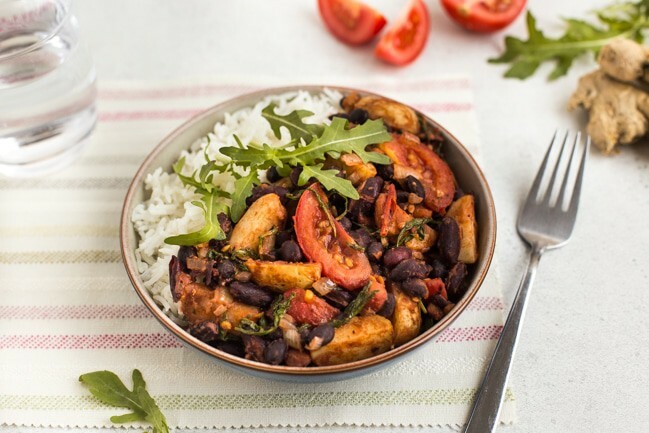 And don’t forget to grab yourself an ActiFry* of your own so you can give this Madagascan bean stew a try. 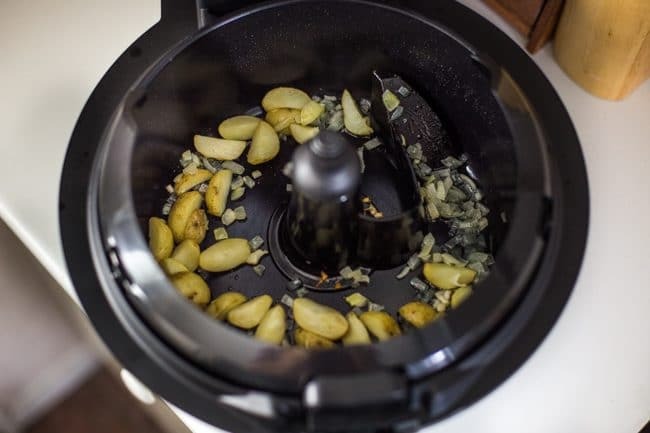 Cut the baby new potatoes into quarters, and add to the ActiFry with a dash of oil. Set the ActiFry to 220°, and cook for 10 minutes. Add the chopped onion, and cook for a further 4 minutes. Next add the beans, garlic, ginger, tomatoes, tomato puree, and seasoning. Pour over the vegetable stock. In a small bowl, mix the cornstarch with a small dash of water, until smooth. Add this to the ActiFry as well. Cook for another 15 minutes. Add the rocket, and cook for 4 more minutes, until wilted. I also added a few extra wedges of tomato along with the rocket, just for a slightly different texture! Serve hot with rice, if desired. Note: Nutritional information is approximate, and will depend on exactly what ingredients you choose. Information above is for 1/3 of the recipe (stew only). * Note: This post contains affiliate links. If you use one of these links to make a purchase, I will receive a tiny (tiny!) payment, at no extra cost to you. Thanks for the support! 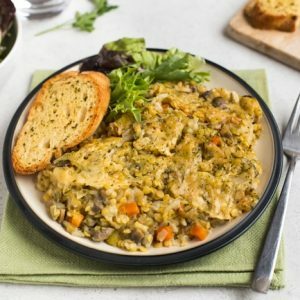 What a great one pot meal! I do love beans and the Actifry seems like a really simple way to cook up a stew. Your blog post comes really handy. Only recently I’ve learned that the air-fried foods are lower in acrylamide than deep-fried foods, making them the healthier option. After your presentation I think it’s time to take a closer look at the “Actifry”. This meal has the best flavor! My whole family gobbled it up and I can’t wait to get my hands on the ActiFry! I love all of these flavors, colors and textures! So good! Ok, I have never tried madagascan food before but now I really want it. I love cuisines from different regions, so I def have to try this. And as soon as I have more space in my kitchen, I’m buying an air fryer!! 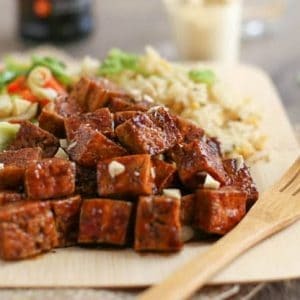 I haven’t ever tried making Madagascan food either but this looks delicious, had no idea you could make something like this in the Actifry! That looks and sounds so tasty! Great to know that the actifry can do more than just chips! I’m still thinking about whether or not to get an Actifry. I know several friends who are really into them at the moment. I’ve never tried Madagascar flavours either but judging on the stew, they look tasty! Oh WOW, thats looks so tasty.